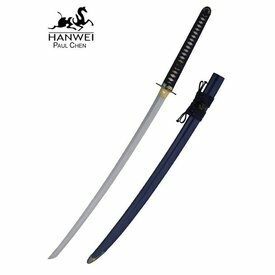 This handmade wakizashi has a blade made of folded K120C steel. 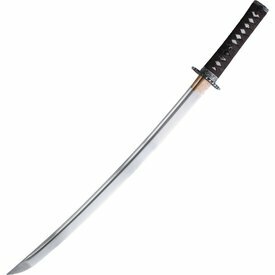 The blade has a Bohi (kind of fuller in the blade) and a short (ko) kissaki. 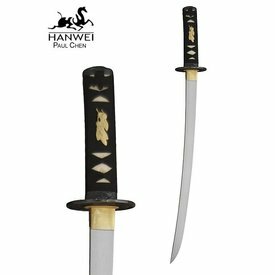 The black Saya is inlayed with brass bamboo leaves. 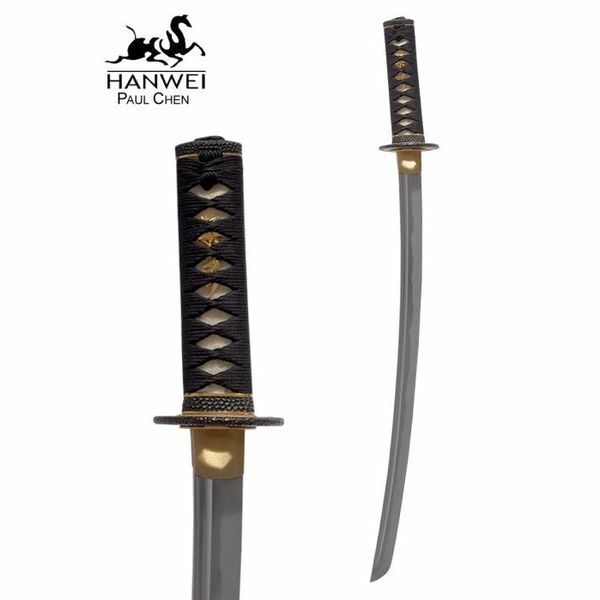 The grip is made of same (shagreen) and roughly woven Japanese cotton. 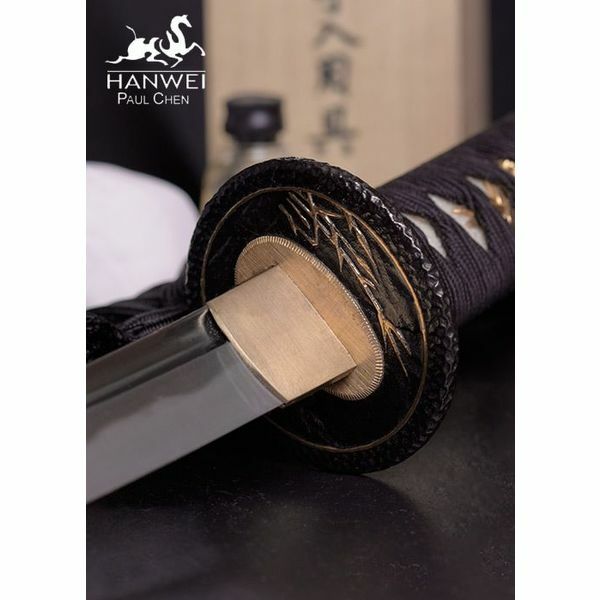 The Fuchi, Kashira, Kojiri, Koiguchi and Kurigata are made of black bronzed iron and their details are applied with goldpaint. 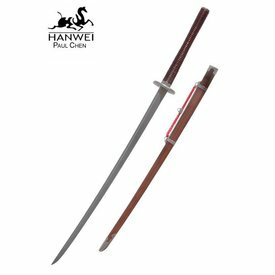 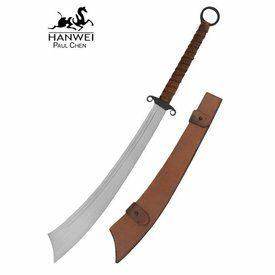 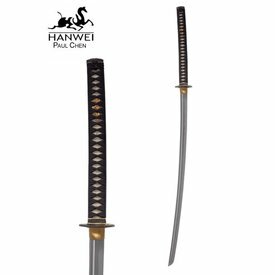 This beautiful wakizashi is 67,1 cn long with a 49,5 cm blade and a 14,6 cm grip. 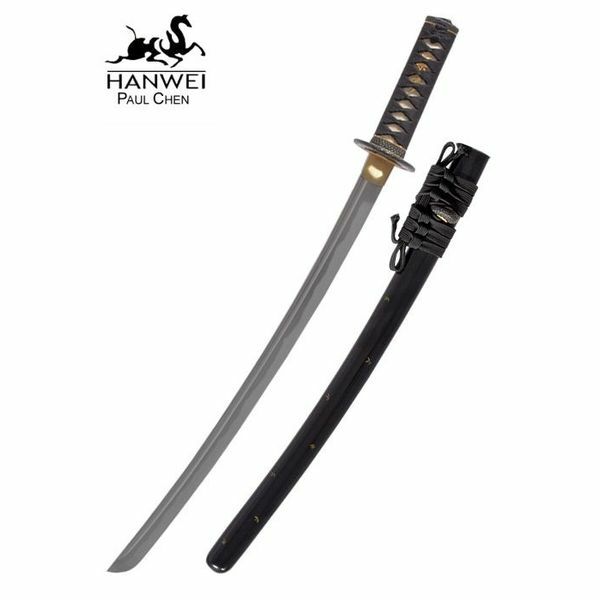 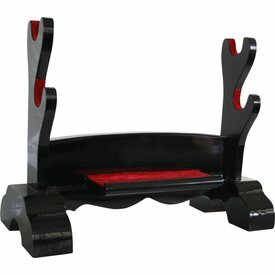 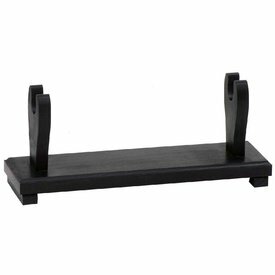 It weighs 652 grams and its point of balance is situated 12,7 cm below the grip.